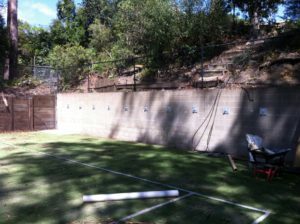 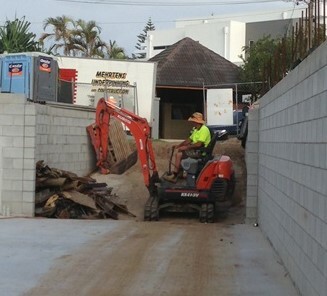 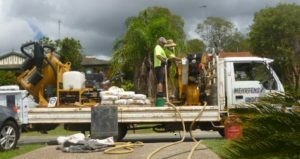 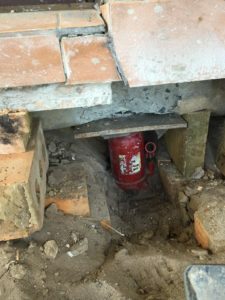 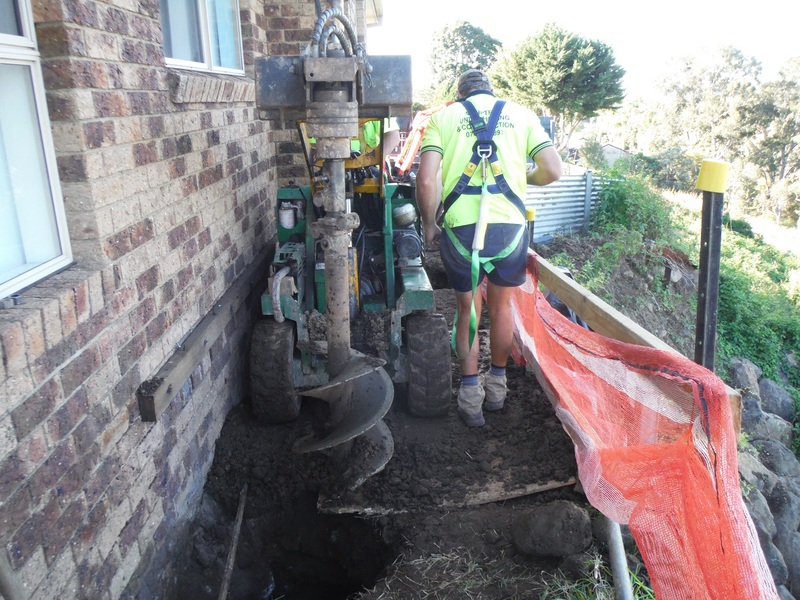 ‘Mehrtens Underpinning & Construction’ is a family owned & operated licenced Building & Construction Company, which specialises in foundation repair and has been servicing Queensland & Northern New South Wales for over 35 Years and has successfully, repaired and constructed thousands of Residential, Commercial & Civil projects. 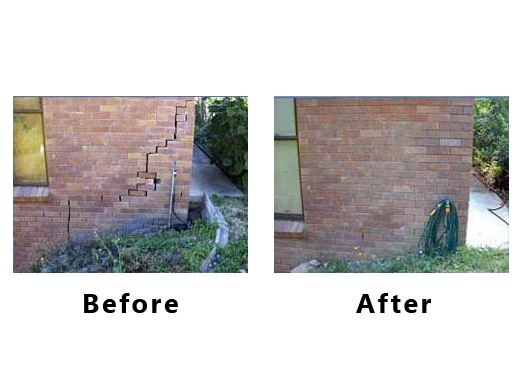 Is your property showing signs of cracking or subsiding? 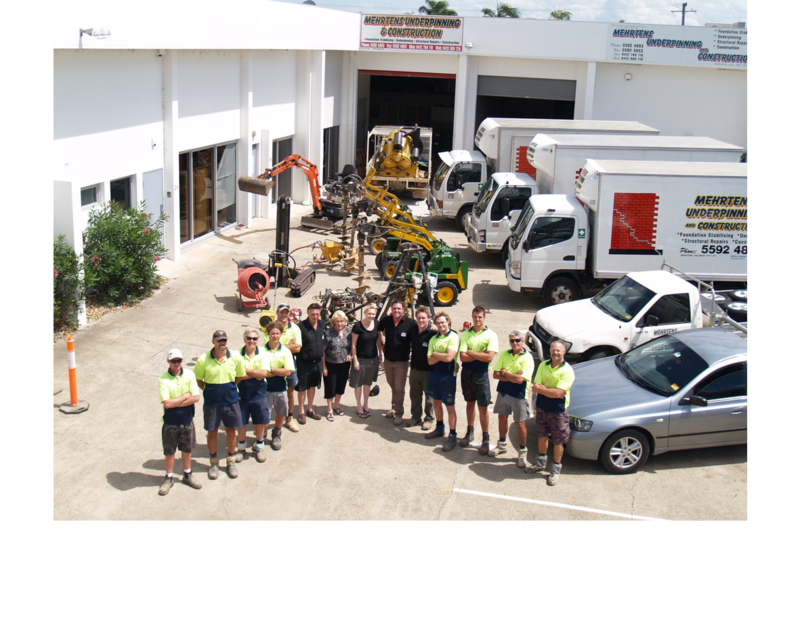 If so we can help you! 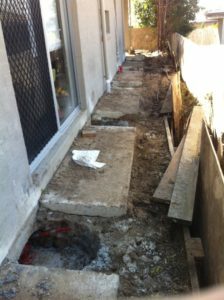 Mehrtens Underpinning & Construction’ is a family owned & operated licenced Building & Construction Company, which specialises in foundation repair and has been servicing Queensland & Northern New South Wales for over 35 Years and has successfully, repaired and constructed thousands of Residential, Commercial & Civil projects . 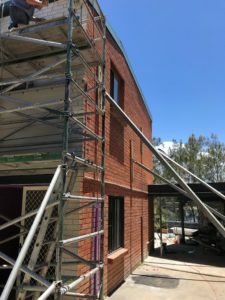 The managing director has had many years’ experience in underpinning and has carried out many difficult underpinning projects over these years. 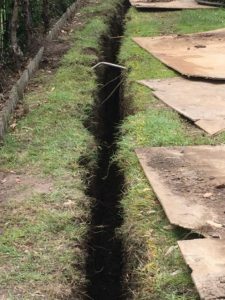 The staff at Mehrtens Underpinning & Construction are very experienced and trained in all manner of underpinning and associated areas of underpinning. 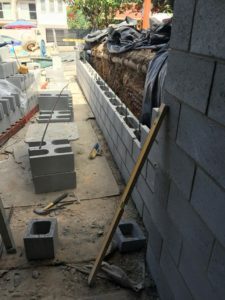 Our supervisors have been employed for an average of 12 years and are very knowledgeable in all aspects of our company’s policies and work ethics. 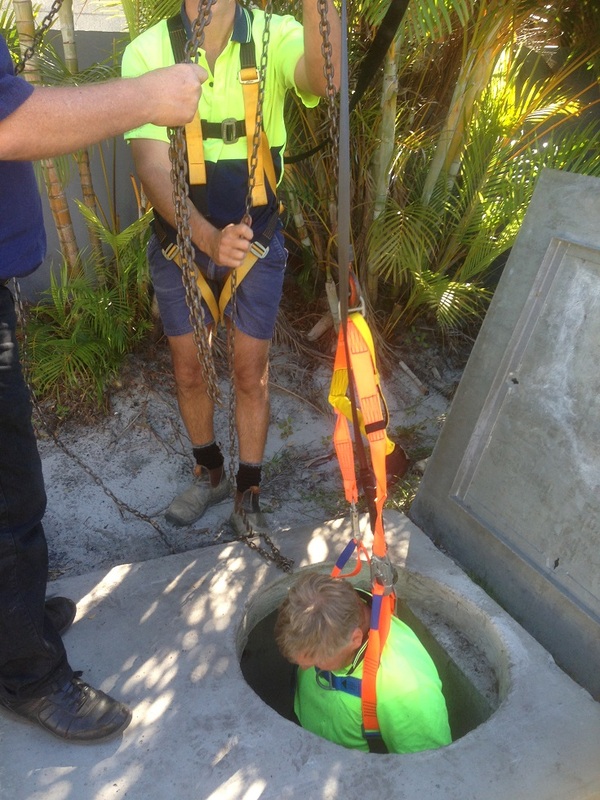 We carry out staff training for safety, first aid and associated items. 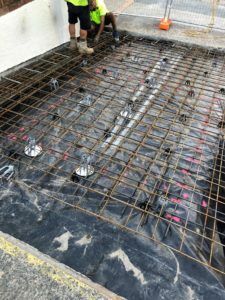 We have a range of engineer certified piers; Concrete pile piers with headstocks, Steel screw piers with headstocks, Sleeved piers with headstocks. 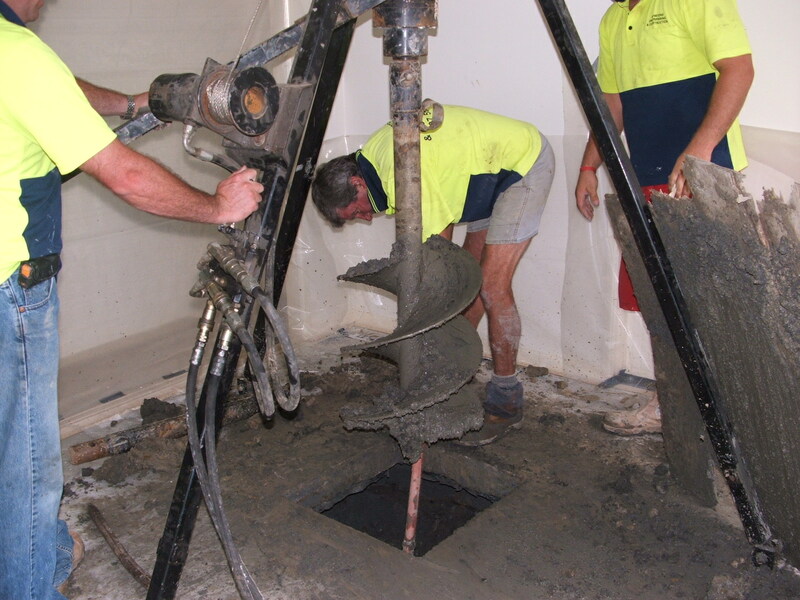 Solid concrete piers, to suit the condition of your soil type or specifications. 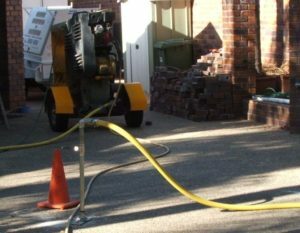 We have a range of hydraulic jacks which are used to raise foundations in single level, second level and tri level buildings. 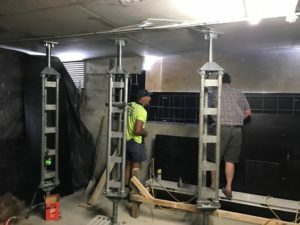 The hydraulic jacks are used to raise hi-rise carparks which have subsided. 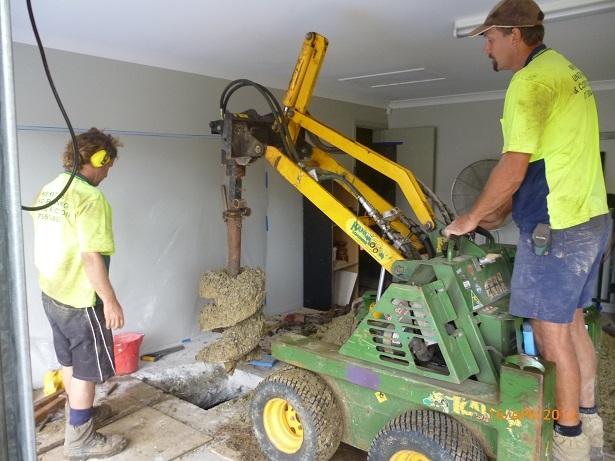 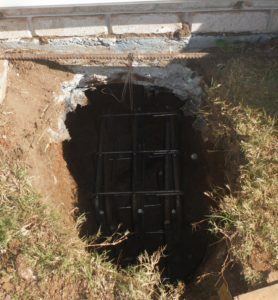 On some underpinning projects the foundation of houses have been raised 150mm+ to relieve the foundation from heaving. 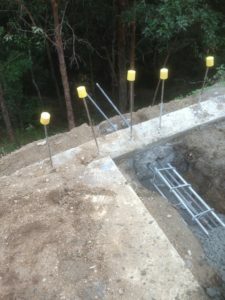 After our piers have cured we prefer to jack the piers against the footings to make sure the pier base is satisfactory even though we use cleanout buckets to clean the base of the piers. 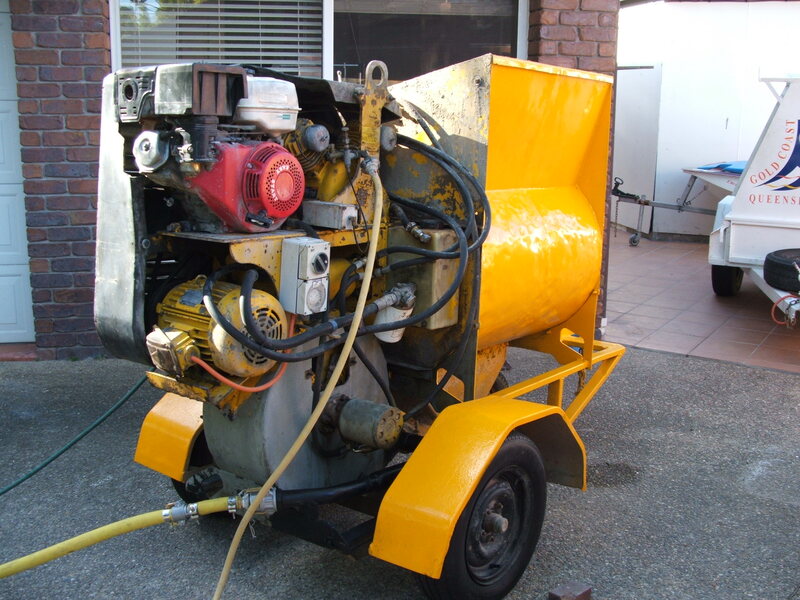 We have a range of pressure grout machines, which can be used on low pressure or high pressure and can handle large amounts of cementous grouts. 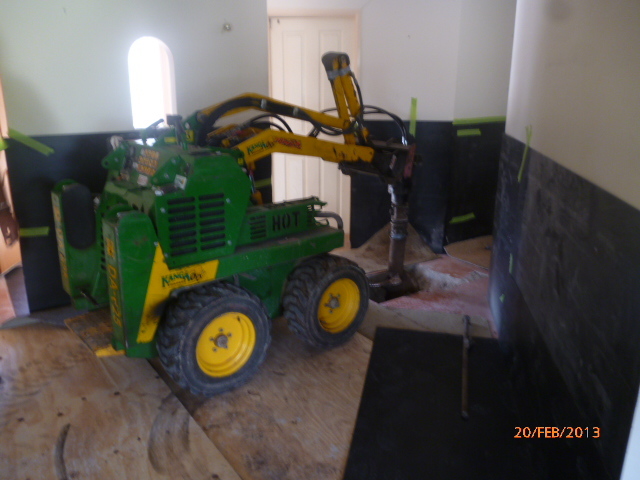 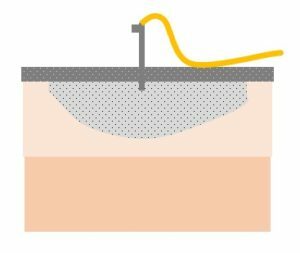 The hole which is drilled through concrete floors is 38mm to accommodate the grout stands. 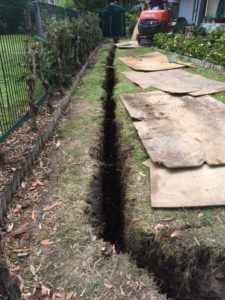 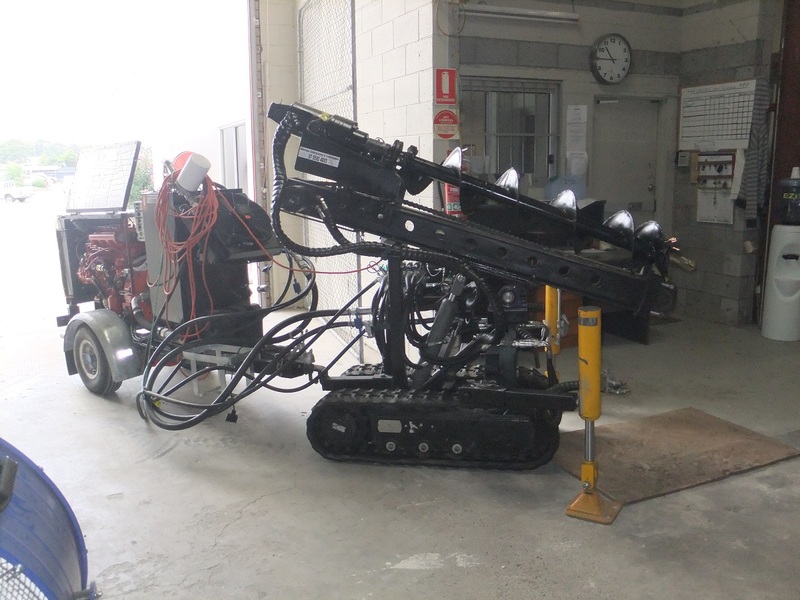 We carry out the installation of tiebacks, soil anchors and rock anchors, we have a variety of machines which carry out this work. 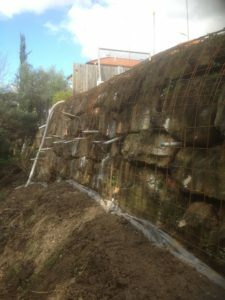 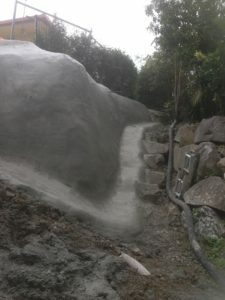 This work consists of tie backs to retaining walls in tight areas land slip sprayed walls to prevent erosion and soil anchors to retain buildings foundations. 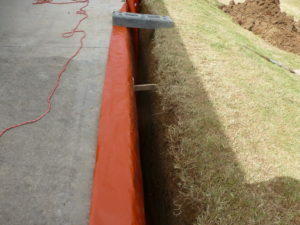 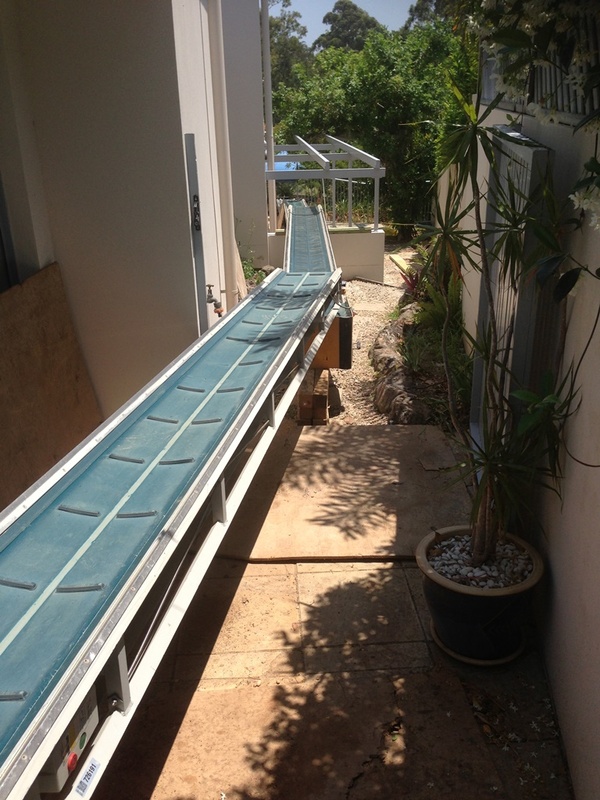 We have the equipment required to carry out the installation of cut off walls to prevent moisture moving underground to foundations and concrete floors in susceptible areas, also the construction of root barriers when trees are in a location too close to buildings. 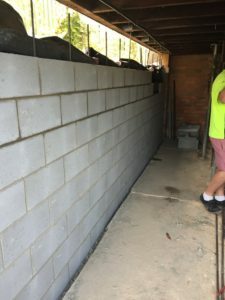 We construct and repair retaining walls, our method with soil nails or rock anchors for the tie support of existing walls is designed and certified by engineers. 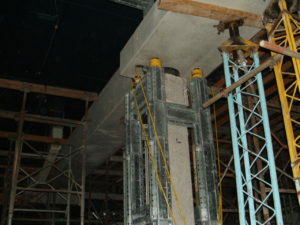 This type of work has been carried out many times over the years. 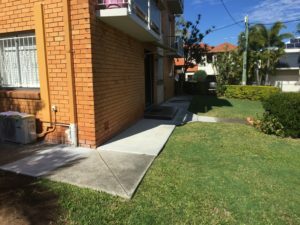 We construct new concrete slabs to any specifications, we have concrete layers and form workers to carry out this work, for design concrete coatings or exposed finishes can be completed to the client’s requirements. 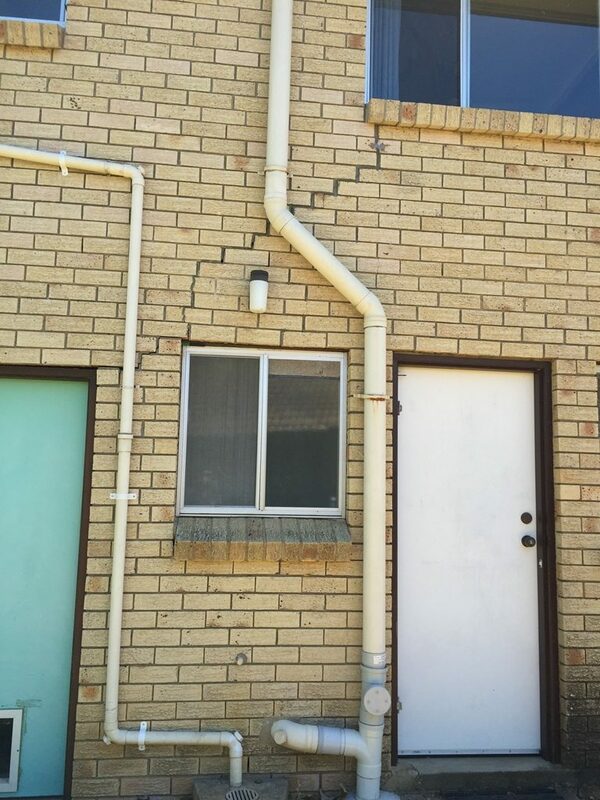 If your property is showing signs of cracking internally or externally, or you feel the property is a bit on the lean, give us a call today and we will arrange an inspection. 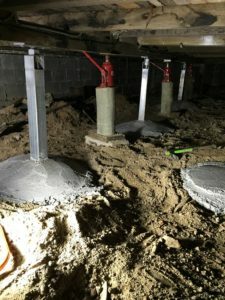 Majority of subsidence and stabilisation issues can only be repaired by traditional underpinning, The most effective method and permanent solution is constructing reinforced concrete piers under the foundation bearing into the natural soil and the foundation raised using controlled hydraulic jacks, so as to prevent any further structural damage to the existing structure, this has been a proven method to work over century’s around the world without any doubt making the property structurally secure. 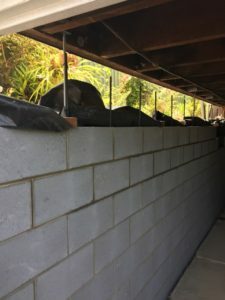 All projects are certified by a third party structural engineer as this is licenced building and construction work, our building/underpinning work comes with a home owner warranty on our work on the structure of the property in the location of the rectification. 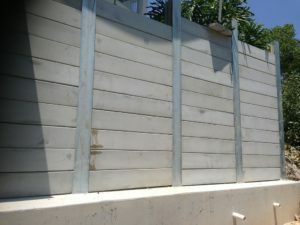 – Mature trees in close proximity to the foundation. 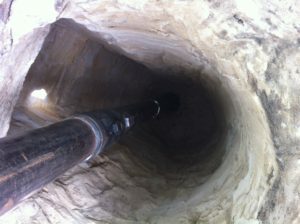 – Poor compaction to the underlying soil or fill material. 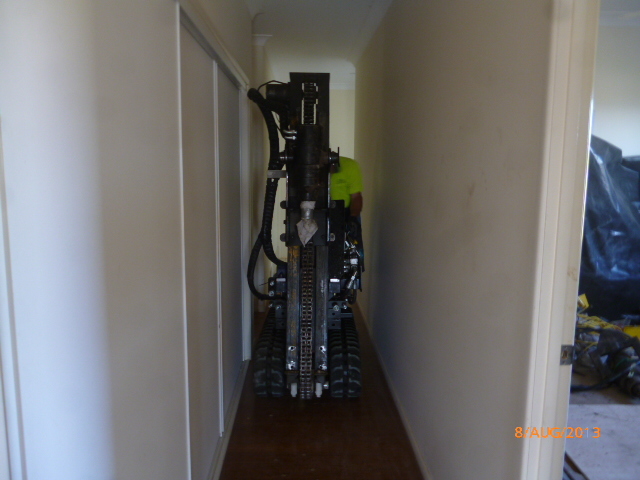 We have many different types of specialised equipment to access extremely tight areas, there is no where we can’t access inside or out.